Home » Posts Tagged "Profit"
Are You Tracking Your Profit? Know how much you really earned for each real estate transaction. Did you know QuickBooks Self-Employed helps you easily record commissions and expenses for each listing—plus, you can also deduct the cost of them? The post Are You Tracking Your Profit? appeared first on RISMedia. For live coverage of the webinar, follow @RISMediaUpdates and use #RISWebinar. Scott MacDonald is broker/owner and president of RE/MAX Gateway, serving Northern Virginia and Washington, D.C. Among his accolades, MacDonald, who began his career in 1988, has been recognized in the RE/MAX Hall of Fame, and served on the board of directors for the Northern Virginia Association of REALTORS®. Rick Turner is broker-in-charge and president of Engel & Völkers Hilton Head Island – Bluffton in South Carolina. The brokerage hit No. 9 for local sales volume in only its second year. Turner, a REALTOR® since 1972, has decades of experience, including with area brokerages Gateway Realty, Lighthouse Realty and Moss Creek Realty. 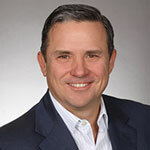 Frank Chimento is vice president of Brokerage Development at Elm Street Technology, which offers lead acquisition/generation, client management/retention and online marketing real estate solutions. Elm Street Technology’s newest offering, Elevate, features a CRM and search platform, lead-generating websites, automated blogging and social media posts, property videos, and more. Moderator Cleve Gaddis, leader of one of the top 10 real estate teams in Georgia and coach with Workman Success Systems, has over 25 years of experience in sales, sales management, coaching and training. An in-demand speaker, Gaddis is also host of the “Call Cleve Atlanta Real Estate Show” on Talk Radio 640 WGST and Newstalk 1160. Each month, RISMedia’s webinars draw over 1,000 agents and brokers from across the country eager for exclusive insight from the industry’s most profitable professionals. To view our last webinar, “Converting More Leads to Closings With Systems,” please visit RISMedia’s Housecall. The post Your Database: Maximizing Its Potential for Profit appeared first on RISMedia.